How exciting it is to be able to offer i-Lipo and Micro Needling to my clients. As a Doctor of Naturopathy, I am a drugless practitioner with one goal in mind, to educate our clients on how to nourish and support their bodies naturally. Being able to offer unique services that are effective, healthy and feasible are very important to me. Two of our newest services are the i-Lipo and Collagen Induction Therapy (microneedling)(CIT) make looking good easy. I was introduced to the concept of Lipo-Laser in the fall of 2013. After months of research and trying a few lipo-laser technologies out, the i-lipo came out as the best in results, the only one that offered NO PAIN, completely non-invasive, left NO MARKS and immediately after the first the treatment I could see visible-positive changes with in 20 minutes! I was on a desperate search to help my daughter over Christmas 2013. I feel fortunate that I have fairly good skin at my age but my daughter had not been so lucky. She had beautiful skin and then stress got the best of her. Adult acne set in then came the scarring and this was making her feel insecure and depressed. 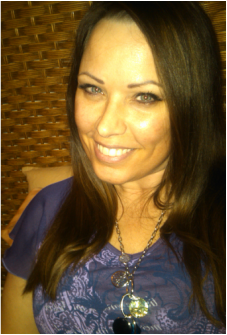 One micro-needling appointment at Dr. Stacy's med spa Our Medical Director) and she was a different person! This lead me to bring it to Madison! It offers a way to rejuvenate your skin with little to no pain and very reasonably priced! Personally, I love being home with my wonderful husband and our amazing dog Jet. Our children are all out on their own and doing well. We enjoy boating, social fun with friends, visiting our children around the country and a glass a wine on our deck overlooking the beautiful country of Lake WI. 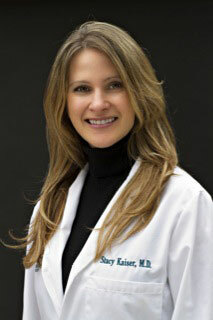 Dr. Stacy Kaiser has her license to practice medicine and surgery in the state of Wisconsin. Following her graduation from the University of Minnesota with a Chemical Engineering degree she decided to continue her education in a warmer climate. It was in San Antonio where she received her Doctorate in Medicine. She graduated with honors at The University Of Texas Health Science Center. She received her top choice for residency at the Milwaukee College of Medicine at Froedtert. She has a strong sense of treating the whole person. She loves having the ability through modern technology to supplement and bring out a natural beauty from in each of her clients. She is certified in many laser procedures including skin rejuvenation, vein and hair removal, as well as botox and fillers. She is also excited about the new procedure allowing ultrasound guided facelifts and would love to have the chance to talk about Ultherapy. Sesha is a Licensed Aesthetician with an extensive knowledge of natural health that supports the body inside and out. She has spent most of her adult life in the holistic health field. She believes in a balance of natural health and the importance of looking and feeling your best. Her knowledge in skin care, involves all skin types, and how to get the most out of what you were handed at birth. She has 3 amazing children and a wonderful supportive husband. She is honored to be a part of your health and beauty goals. She prides herself on giving each client a service well worth it's value in gold and from the response from clients, she is under estimating herself! SheilaKay Jowett is a LPN, License Practical Nurse. She joins Ideal Self Today to provide vitamin B injections and i-lipo treatments. She is a Master in Micro-needling and is our lead micro-needling technician. Sheilakay leaves every client feeling special and always takes her time to explain everything she is doing. She practices what she preaches and strives to always be the best she can be. She lives a holistic lifestyle and continues to educate herself so that clients too can be informed! She is an incredible caring and compassionate person and anyone who is lucky to experience her presence is better for it!